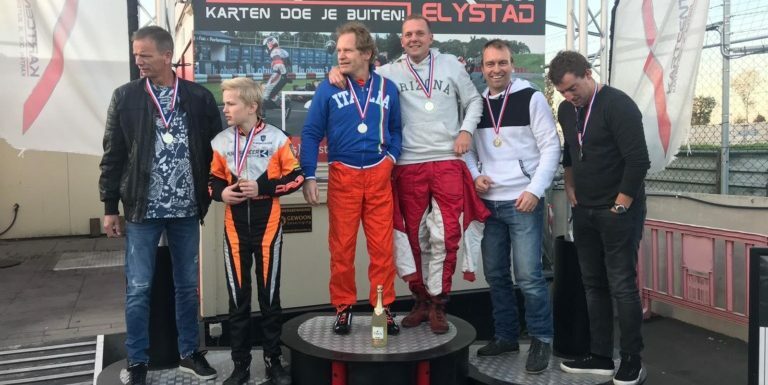 At October 28th Nanno and I competed in a 2 hour endurance race at the Lelystad track. I already won a race at Lelystad this year (with teammate Guillermo van Pamelen) so I was used to the track. After 15 minutes of qualifying, Nanno and I grabed pole position with 0,1 seconds. It meant we had to start from the back, in 20th position. After 3 laps we were back in 3rd position, and it took us around 20 minutes to get to P1. Slowly on we managed to create a big cap, to finish 2 laps ahead of the numbers 2.